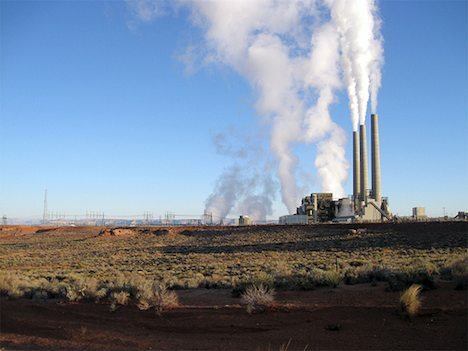 The Obama Administration is aiming to cut carbon emissions from power plants 30% by 2030. A new Environmental Protection Agency rule will set specific targets for carbon dioxide reductions by state. It’s poised to be the most significant step taken by the United States to limit greenhouse gas emissions. The new EPA rule will limit emissions from fossil fuel-based power plants, which are responsible for a whopping 40% of greenhouse gas emissions from the United States. The U.S. is the second largest emitter in the world, behind China. The target will be to cut emissions 30% from 2005 levels, which were actually 10% higher than in 2012. U.S. emissions dropped 10% between 2005 and 2012. The increasing use of natural gas instead of coal was largely responsible for the decline in emissions in those years. Under the new rule, states will be able to offset coal plant emissions by developing renewable energy assets, and by fostering greater energy efficiency, among other measures. States will have some flexibility to decide how to achieve their targets. Very strong opposition to the new EPA rule is expected from both Republicans and some Democrats in states heavy on coal. There will be 120 days of public comment, and the final rule will be due in June 2015. States will have until mid 2016 to fully develop plans to comply.